EAST PALESTINE–Iona J. St. John, 89, of East Palestine, passed away 5:25 p.m. Wednesday, Feb. 6, 2019 at her residence. 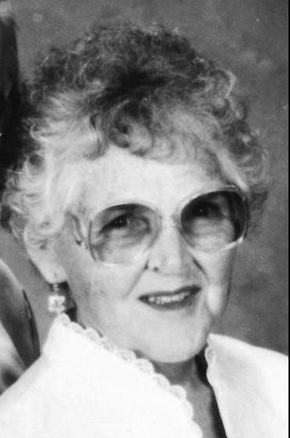 Iona was born May 19, 1929 in Negley, OH a daughter of the late Samuel “Mack” and M. Esther (Dickey) Gorby and had been a life-long resident of the area. She had been employed at area potteries and had worked at Peace Valley Orchards. Her husband, Glenn “Skip” St. John, She was also preceded in death by a son, Tom St. John; a brother, Larry Gorby; two sisters, Shirley Green and Marty McClelland; and two grandchildren, Mandy and Mick St. John. She is survived by a son, Gene “Chuck” St. John, Jr. of East Palestine; a daughter, Robin St. John of South Vienna, OH; and her “other daughter” Angela Martin of New Carlisle, OH; a brother, Lewis “Jake” Gorby of Geneva, OH; and a sister, Maxine Smith of Sterling, OH. The funeral service will be 2 p.m. Saturday, Feb. 9, 2019 at the Linsley-Royal Funeral Home with Cindy Figley officiating. Burial will be in Crest Haven Memorial Gardens, New Waterford.